We are now in the last week of this half term, a quick reminder please could homework be handing in on Friday this is the whole story that you have been working on weekly and you maths thank you. Have a lovely half term holiday. We will see you when you return all refreshed and ready for our last half term as 5W before you go up to year 6. I hope you all enjoyed your holidays with the lovely weather that we had. This year is flying by we are now in our final term together as 5W. 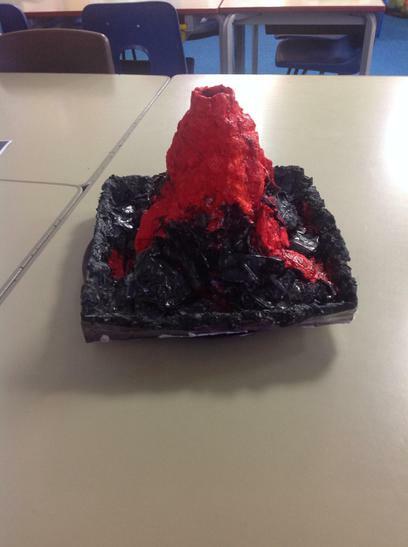 This term we will continue to look at Natural Disasters as our Topic. Please remember P.E. kits, indoor kits need to be in school on a Tuesday and outdoor kits need to be in school on a Thursday. 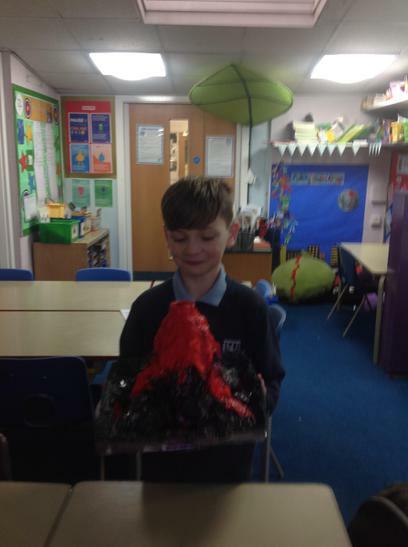 Markuss' amazing erupting volcano homework ! Welcome back 5W for your half term break, I'm sure the week flew by and you can't believe you are back at school already! This half term our topic is natural disasters, it would be great if you could research facts and bring them in to impress the class. Take a look at the big picture below to find out what we are doing in all areas of our curriculum. Welcome back 5W hope you have all had a fantastic Christmas break and are ready for a fantastic 2017! This half term we are warmly welcoming Mrs Storey to our class as she will be teaching 5W Wednesday afternoon, all day Thursday and all day Friday. Over the next half term our topic will be the Victorian's so watch the website for updates on photos and writing that we will complete for this topic. Homework will be sent out on a Monday and will be collected in on the Friday, as well as the homework sent out please could children read each night, learn their spellings and their times-tables. As always if you do need to come and see me my door is always open. Just a reminder P.E. kits need to be in school on a Tuesday for indoor P.E. and on a Thursday for outdoor P.E. This is our 'Big Picture' for this half term. Our topic this half term is: Europe. 5W have created these rules as a class.